Telephone Cable RJ11 6P2C measuring 6.6 feet suitable for connecting your home / office phone to a phone box. This is a 6.56' long telephone cable. 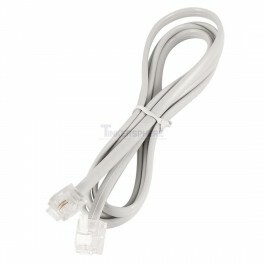 Great for telephones & landlines.